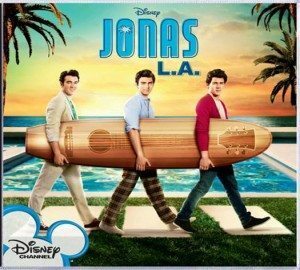 A new So-Cal setting and an all new Season Two of the Teen Choice Award-winning series JONAS. Newly named JONAS L.A. is sure to rock you this summer and beyond. Featuring your favorite superstars: Kevin, Joe and Nick Jonas. The JONAS L.A. episodes showcase music performances and fuse clever comedy with an authentic portrayal of a band of brothers navigating new waters. A number of famous songwriters also helped out on the album, including Kara DioGuardi. This soundtrack is full of sensational summertime anthems to keep your head bobbing all year round. This is very much a rock song that isn’t super like anything the Jonas Brothers have released before, but we would love to hear more music like this from them. Check out below the Music Video for “L.A. Baby”, we believe you will like it. This is such a fun song that we are going to be humming for the rest of the day! Previous Post: « Smart TGIFreeday!